Constructing a home for a novice can present a challenge. A person unfamiliar with construction terminology might find it difficult to communicate with the contractor in charge of building their dream home. The future homeowner might have an idea of what he or she prefers likes and wants their home to look like but when it comes time to put those thoughts on paper and then communicate them to the contractor, confusion and miscommunication can occur. It is important for one who is contemplating building a home to research the home building process. There are several things that a home must have in order to function properly. Without all of the elements in place to construct the home correctly, the home can become unsafe and inhabitable. An experienced contractor knows what a home needs in order to provide shelter, safety and security for all who live in the home. A poorly constructed home will leave a homeowner without proper shelter, physical and health hazards and no financial security. Owning a home is expensive and can also be a financial risk. A home is not always an asset if it is draining the homeowner financial in home repairs. Before the completion of any home, a thorough inspection must occur to insure that a properly installed ventilation system is in place. Without a good quality and properly working ventilation system, the homeowner should prepare his or her self for added expenses. Poor ventilation can cause a rise in energy cost putting a financial strain on the homeowner. There are several ways to lower the risk of high energy cost as well as other potential risks that can come with an old, rusty, corroded ventilation system. Upgrading to higher and better quality ventilation is the first step. Replacing an old louvered gable vent with a new louvered gable vent can help in better circulation. Simple inexpensive home repairs such as replacing these gable vents can help drastically reduce future home repair cost and lower energy bills. A louvered gable vent is a huge asset to a home as it helps guard and protect outside forces from intruding into the home and creating havoc. Selecting and installing a louvered gable does not have to be a frustrating thing if a homeowner is concerned about the home’s eye appeal. 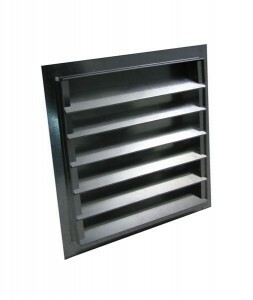 Several louvered gable vent manufacturers have multiple options that are sure to meet most homeowner’s need for an attractive and safe home.